Ukrainian migration service is in cahoots with Russian FSS? Last time I talked to Ruslan Meyriev on the phone. Ruslan was trying to keep his spirits, but his voice was showing tiredness. No wonder: unsuitable living conditions, health problems and the longstanding legal conflict with the Ukrainian migration service eat away at him. The family he has to take care of is in a southern region of Ukraine, while the legal proceedings take place in Kyiv. For Meyriev and his family, just as for the rest of the country which is so inhospitable to him, spring of 2014 was a watershed mark. Then Putin’s ‘little green men’ seized Crimea. Meyriev and his wife, a Crimean Tatar, had to flee the peninsula. Meeting Russian special services did not bode well for them. He left Ingushetia in 2013 and set off for Egypt to study Arabic. And in June 2014 a case was built against him in his homeland. The charge was quite traditional, namely involvement in ‘illegal armed groups’. 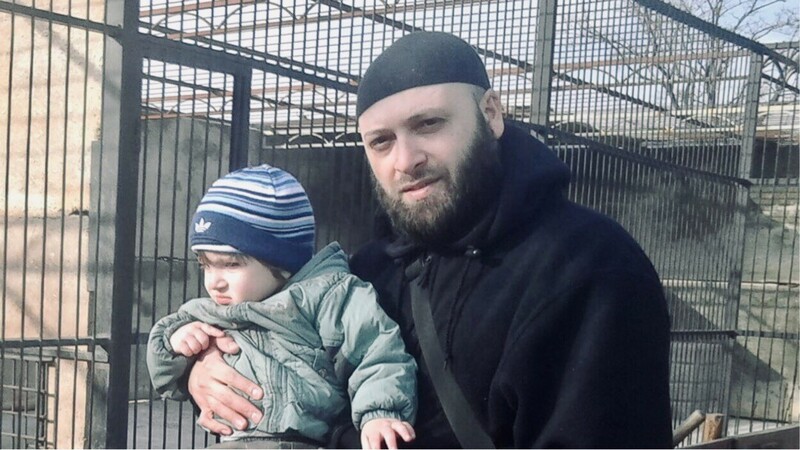 Meanwhile, he and his wife and children were trying to settle down in the Vinnytsia region, where refugees from Crimea were living in a Jamaat. But they had to move out soon as well. During the first months of war against Russia, Meyriev and other Muslims volunteered to actively assist paramilitary troops that stopped pro-Russian separatists in the Donbas; he was also one of those maintaining the blockade of the administrative boundary of occupied Crimea. Meanwhile the Security Service of Ukraine in Vinnytsia decided to ‘whomp up’ a terrorist group… Ukraine lacked terrorists, and financing of the counter-terrorism department needed justification. The candidates were chosen from those who had no support in the halls of power, i.e. Meyriev, an Ingush, and his mate, Magomed Iliev, a Chechen. They lived in a rented apartment in Vinnytsia. By that time Ruslan’s family had moved to Crimea for a while. The search of the apartment revealed an unknown handgun they first tried to ‘pin on’ Meyriev, and then on Iliev. However, Ruslan walked free after the search. He had a temporary accommodation permit, because he was married to a Ukrainian citizeness. But Meyriev could not extend the permit in time. “My wife and baby were detained when trying to move out of the peninsula to the government-supervised territory, and provided with two riflemen with a dog; I had to do something to free her, that was late December, 2014. I had missed the deadline for extending the permit for residence in Ukraine”, – Ruslan Meyriev said. His wife was released, but Ruslan was a bit later arrested by Ukrainian special services as a person wanted by the Interpol. He spent a year in a Zaporozhian remand prison. The Ingush was bailed out by the head of the Mejlis of the Crimean Tatar People, a Ukrainian parliament deputy Refat Chubarov. Legal support was provided by an attorney from the Kharkov human rights group. According to Meyriev’s current attorney Alexander Lapin, the only way to avoid extradition in that case was applying for asylum to the Ukrainian migration service. “Ruslan’s situation was unusual: he was the husband of a Ukrainian citizen and father of Ukrainian citizens, and yet he had to ask for asylum”, – said Lapin. Meyriev cannot disengage from the asylum provision procedure, because he may be immediately deported to Russia. At the same time, the Ukrainian law forbids him to apply for residence permit renewal while he is engaged in the asylum provision procedure. Anyway, for now the procedure is like Meyriev is denied asylum provision by the migration service, and then he appeals the denial in court. He has already successfully appealed one denial: the court obliged the migration service officials to review the Ingush’s application. However, the second application was denied as well. Attorney Lapin is now trying to appeal that decision in the first-instance court. According to him, the General Prosecutor’s Office has conducted an extradition inspection requested by the FSS, and is ready to send Meyriev to their colleagues. Anyway, Meyriev’s protection measures include the right to appeal to the European Court of Human Rights, which may use rule 39 of its Rules of Court and freeze the extradition procedure. Ruslan’s attorney reminds that his client helped Ukraine at a difficult time, when the Russian invasion compromised the very Ukrainian independence. And in Russia this is another crime, in addition to the one made up by the FSS officers back in 2014.